Hi everyone! 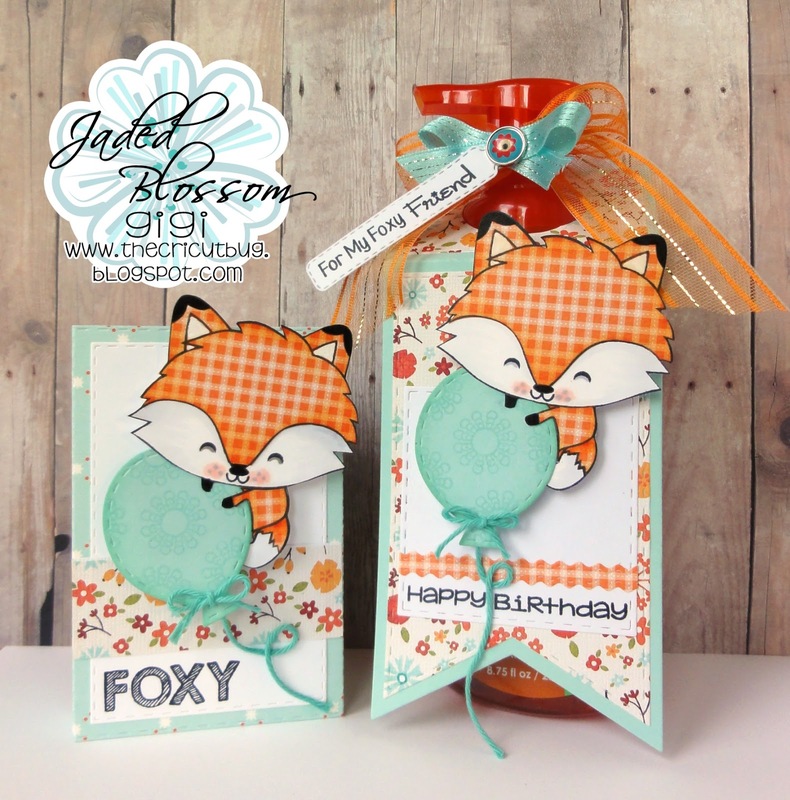 This is GiGi from The Cricut Bug and I am sharing the Birthday Gift Card Holder and matching Gift Tag I made using the Foxy stamp set. 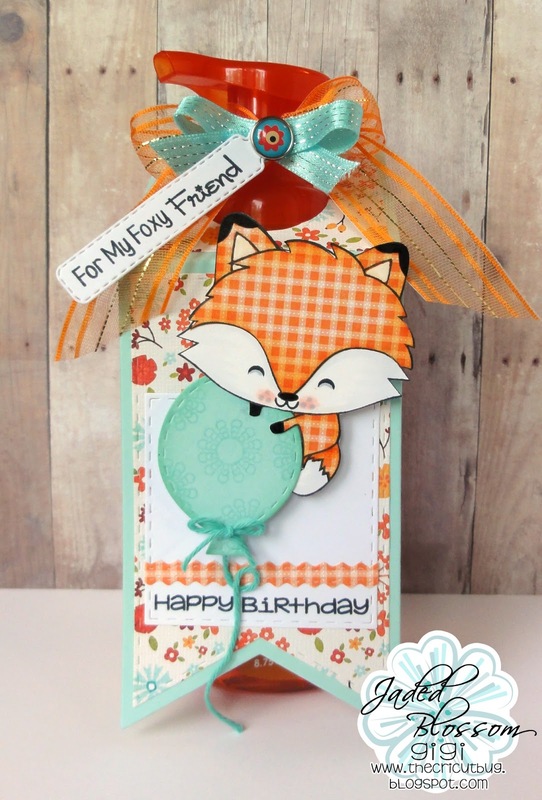 I LOVE this adorable fox from the Foxy stamp set and thought it would be perfect for my friends Birthday gifts. I started these projects with the Wine Tag Die, and the Folding Gift Card Die and cut them out. I stamped and paper pieced the fox's from the Foxy stamp set and cut them out. I added each one to a balloon that I cut with the Birthday Dies and stamped with the Paisley stamp set. I attached twine to each of them and put them on pop dots. 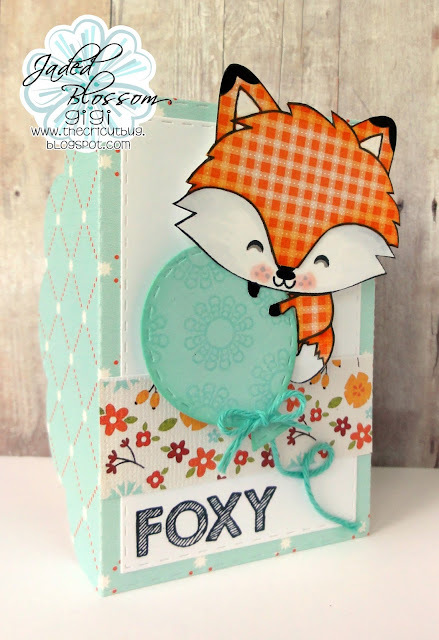 For the Gift Card Holder, I added the background mat cut with the Goody Bag Die and stamped the sentiment from the Foxy stamp set. For the Soap Bottle Tag, I cut the background mat using the Stitched Square Dies and the sentiment tag from the Mini Tag Dies. I stamped the sentiment onto the tag using the Foxy stamp set and the Best Friends. For the bottom of the tag, I cut a decorative strip with the Border Dies and stamped the sentiment from the Hey Chickie stamp set. I love this. Such a cute fox! !